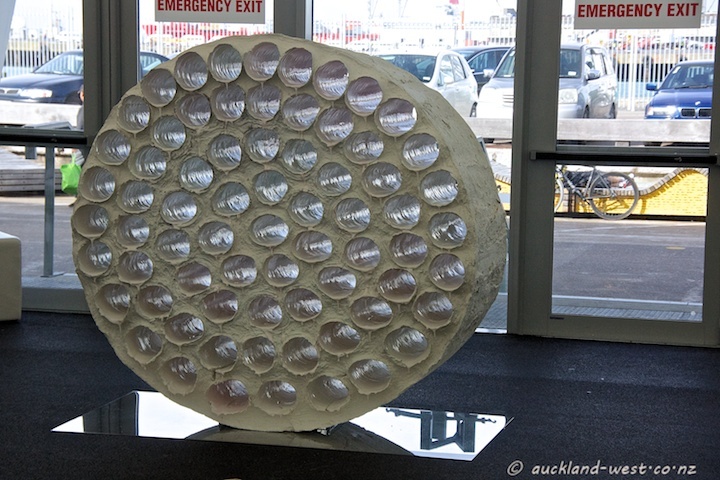 Wellington ceramic artist Raewyn Atkinson kindly posed for me with her work “Wasters” at the Art Fair. A circular arrangement of millions of numerous cup handles, found at the beach in California (the mind boggles trying to imagine the scenes of mass destruction which led to such a serendipitous outcome — don’t they know how to handle crockery over there?). Also by the same artist (and in one piece) “Deep Time #29”, a work in porcelain and glaze which surprised with the ever changing aspects of its cylindrical hollows. Raewyn Atkinson is represented by RH Gallery, Nelson. 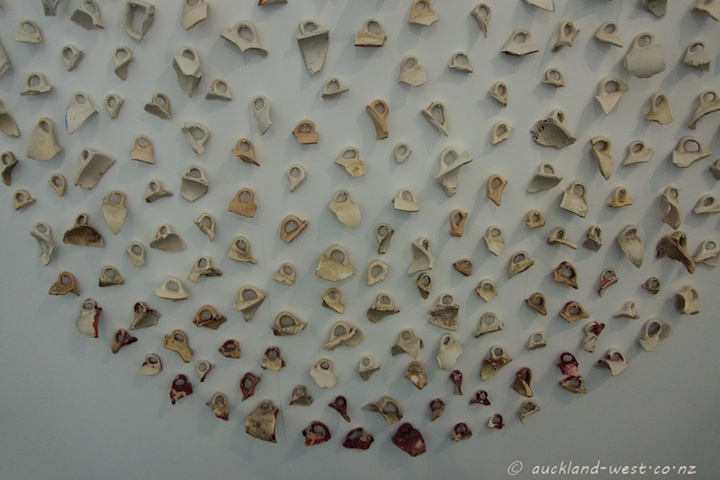 The Auckland Art Fair closes today. That’s a very nice piece of art. I didn’t notice they are cup handles until you mention it. Initially, I thought they were stones. Looks like you have your own take on that art piece by centring her: Bullseye! Great shot of the artist with her artwork … the bottom shot looks like your cable posted today.